Portland Benefits Group is an Oregon health insurance agency, providing affordable online health insurance quotes for individual health & family insurance. We offer free, no-obligation quotes and personal consultations to discuss your insurance. Portland Benefits Group represents all the major health insurance carriers that provide health plans in Oregon. There is no additional cost for our service; the rates are the same whether you sort through all the options yourself or let us help you find the best plan for your needs. We know about Oregon Health Insurance Plans. We know the rates. We are your local Oregon insurance company. We live and work in Oregon, and we will be happy to talk with you. Starting October 1, 2013, consumers in all states will be able to choose new affordable health insurance options through a new Health Insurance Marketplace. Some states are setting up a State-based Marketplace, and other states will work with the federal government in a State Partnership Marketplace or Federally-facilitated Marketplace. Oregon has created Cover Oregon, and California has created Covered California. Both have encountered the same launch issues as the federal exchange however they have greater capacity to handle paper health insurance applications and may eventually prove to offer better plan features eventually. No matter what state they live in, consumers can get help as they apply for and choose new insurance options. Agents and brokers can help consumers enroll in new insurance options and apply for premium tax credits and cost-sharing reductions through the Marketplaces.We highly recommend using an experienced agent or broker that has BEEN trained, tested and become certified to market these highly complicated plans. 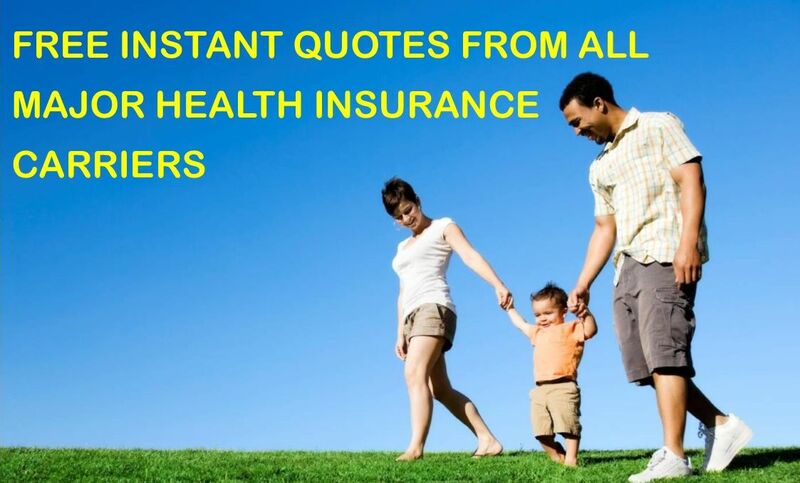 When looking for Oregon Health insurance its smart to look around and obtain multiple rates quotes from different companies. Cost is easily the most confusing part of the Individual health insurance Oregon market. For example, the rates for similar items from different insurance companies can differ up to 50 % for the similar person. Additionally, the guidelines and rules about Oregon Medical insurance change from condition to condition, making comparison-shopping challenging for that consumer. Also, group guidelines provided by companies are nearly always less than private Oregon Medical insurance plans. That does not mean a person health plan is going to be listed from your achieve, however it means you might want to quit some option to keep costs lower. Selecting Individual health insurance Oregon will probably be a balanced exercise between cost and coverage, along with your philosophy of care. Choosing the best balance of coverage and price can be hard, but it is necessary. So take your research a measure at any given time. The initial step would be to evaluate your requirements and understand your well being insurance options. Among your options, you will find that the Oregon Medical insurance provides the same plans because the group market, including HMOs, PPOs, point-of-service plans, and traditional fee-for-service plans. Your financial allowance, physician preferences, and health needs will all possess a submit determining which kind of plan is the best for you. plans that meet your needs and budget as long as you know where to look and how to effectively shop for good coverage. All the major health insurance companies in Oregon offer low cost, affordable health insurance plans to cover the most basic needs as well as catastrophic coverage. You can find affordable Oregon medical insurance plans from Lifewise, PacificSource, Moda, Regence. Aetna, Blue Cross Blue Shield, Cigna, Humana, United Healthcare and more. Here are just a few to consider. Self employed individuals and those who own a small business have several options available to them. Most business owners that call me ask about affordable group health insurance for themselves and their employees. For many self-employed business owners, group health insurance is not the best answer. Many owners and their employees can find better value with individual or family major medical insurance plans. If it is determined that a group health insurance plan is in your best interest, here are some things you will need to know. Your self-employed business does not need to be incorporated but you will need evidence you have a legitimate business. Income tax and payroll records will usually suffice but some may also need a valid business license. Some Oregon group health insurance companies require at least 6 months of records while others will accept less. Some Georgia group health insurance companies will allow a husband and wife to count as a legitimate business group while others do not. If you have prior creditable coverage, a group health insurance plan is required to cover any pre-existing conditions. If you do not have creditable coverage, the health insurance company may make you wait for up to 6 months before any pre-existing medical conditions are covered. Oregon HSA Insurance Plans Oregon Health Savings Accounts (HSA) are a great way to provide health insurance for individuals, families and the self employed. The U.S. Treasury requires you to have a qualified high deductible health insurance plan (QHDHIP) in place before you can establish a Health Savings Account. Such high deductible health insurance plans are not allowed to have co pays for anything other than annual wellness exams. All covered expenses are used to satisfy the individual or family deductible before the health insurance company pays any claims.